Subaru UK will not be passing on January’s VAT increase to the majority of its customers. Rather, the All-Wheel-Drive Japanese manufacturer is to absorb the 2.5 per cent rise in sales duty itself in most cases. This means that prices for 80 per cent of the Subaru range will remain unchanged for 2011. For example, the Forester SUV range will still start at £21,295 for the entry level 2.0X and rise to £28,995 for 2.0D XS NavPlus. The Legacy Tourer range will cost from £24,795 (2.0D S) to £29,295 (2.5i SE Navplus Lineartronic). 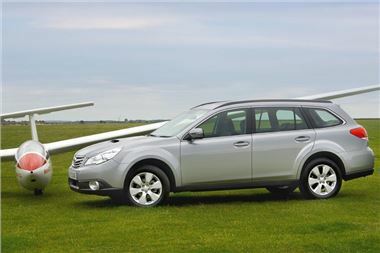 Crossover Outback models will continue to be priced at £26,795 for 2.0D S, rising to £35,795 for the top-of-the-range 3.6R. Elsewhere, the recently launched 2011MY STI WRX stays at £32,995 (for both the four and five-door) and the last remaining few Cosworth Impreza STI CS400 models are still priced at £49,995. For more information on the Subaru range, please log on to www.subaru.co.uk.